The S. W. Betz Company has sold and installed modular and in-plant offices for many years and has considerable experience with this product line. There are many benefits of modular offices as opposed to standard construction. First, modular office components install cleaner, faster, and easier, which means less downtime and a smaller impact for your operation. Our wall systems are designed so that any panel can be removed, replaced, or changed to a door or window almost effortlessly. Modular offices are also classified as open construction, which allows the structure and wiring to be checked at any point of the install process by building inspectors. 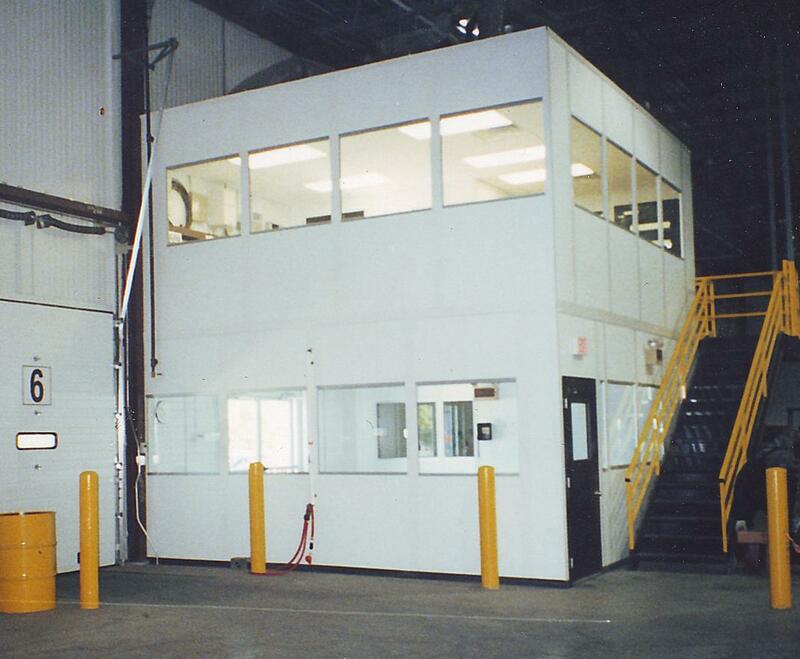 For the modular and in-plant offices that we sell there are no “standard sizes” and everything is custom-built to your needs and specifications. We can fulfill your designs if you have them, or our team can assess your needs and design an in-plant or modular office to fit your requirements. Electrical, HVAC, flooring and permits are other aspects that we can provide/assist you with. The S. W. Betz Company is a preferred distributor for many of the top manufacturers in the industry, including A-Wall Building Systems and Inplant Offices, Inc. Inplant Offices is located in St. Louis, Missouri and has been a top manufacturer of modular and in-plant offices since 1987. If you are in need of or would like more information on any of our in-plant and modular offices, please contact us and one of our team members will be happy to assist you. For more information about Modular Offices or any other product or service from S.W. Betz, fill out and submit the form to the right.